Bleeco, St Martin’s Place, was founded in 1921 in Brighton by Ernest Henry Heaps; he remained its managing director until his retirement in 1961 (when the firm then was taken over by Haven Foundries, Newhaven). They had a contract to modernise the lighting in the town. A range of fittings for Brighton’s street lighting was installed and the company went from strength to strength. Bleeco columns, brackets and lanterns were installed across the UK and Ireland. There are many fine examples of the above that can be found on Wikipedia. In 1927 Ernest Heaps designed and erected the first electrically operated semaphore traffic signals in the UK at the junction of West Street and Kings Road. I do not know where or when the outdoor ‘works’ photograph shown below was taken. 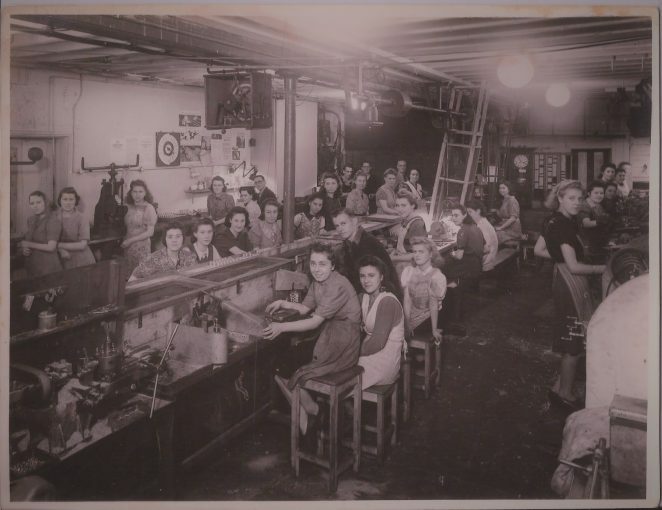 During WWII the factory was employed on munitions production; the following pictures taken inside the factory in St Martin’s Place. 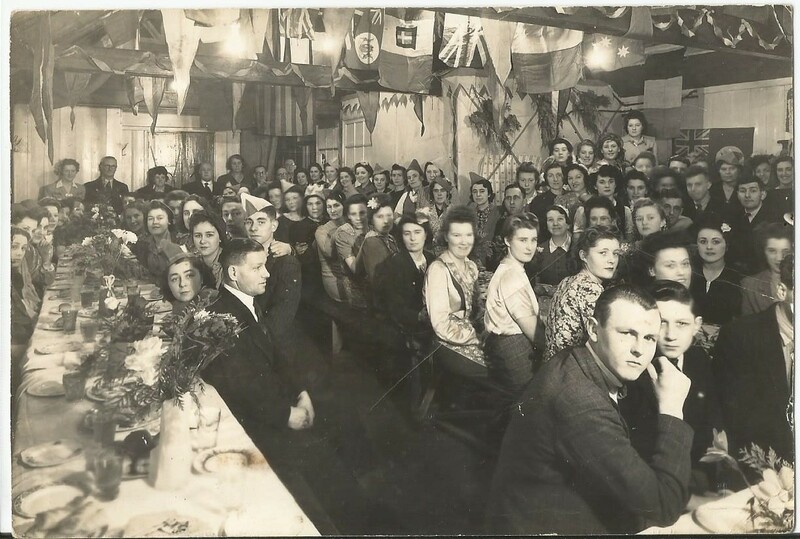 were during this period The picture with the flags and bunting may have been around VE Day? During WW11 the factory was employed on munitions production - the following pictures taken inside the factory in St Martin's Place were taken during this period. I knew the chap in the middle of the picture above when he was retired (hands on hips) his name was Gordon Bowley he was foreman. He showed me some mercury tilt switches that I vaguely recall were used in Belisha Beacons.The large chap on the left clearly looks like the boss. What great photographs. My mother’s family lived in St Martin’s Place for many years, and I’m pretty sure I can see her sister, my aunt, in the top photo. Her name was Ellen Greenland née Gonnella. I read on the internet that Bleeko’s head office was in Wellington Road. I wonder if the top photograph was taken there. Where exactly was the factory in St Martin’s Place located? Thanks. Yes great photos, I think the factory was located between St Martins Place and Wellington Road; there are some 1960’s type flats there now. 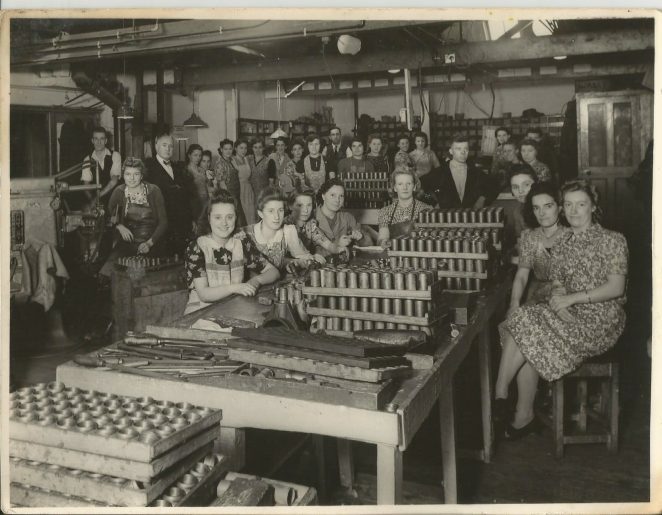 Having just been down to Southampton to see “The Shadow Factory”, I expect Bleeco was extremely important and busy during the war! 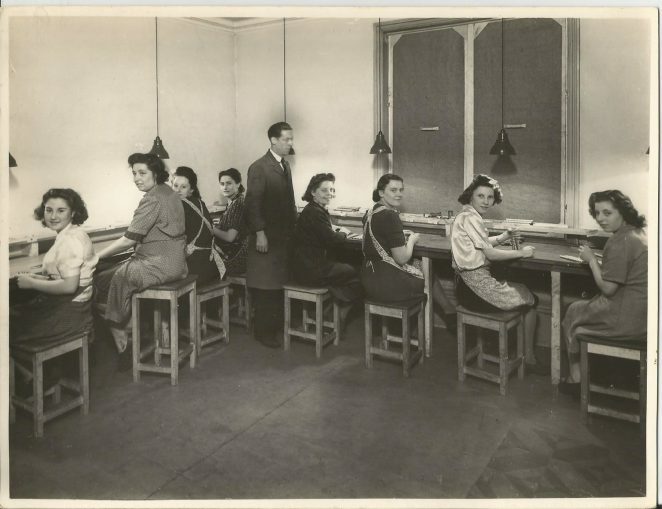 Janet -the Bleeco Head Office was situated at 33 Wellington Road. There is an article in Viva Magazine by Tom Sargant titled ‘Brighton in history: electric street lighting’. He locates the factory in St Martin’s Place where the Akido Martial Arts Club is today. 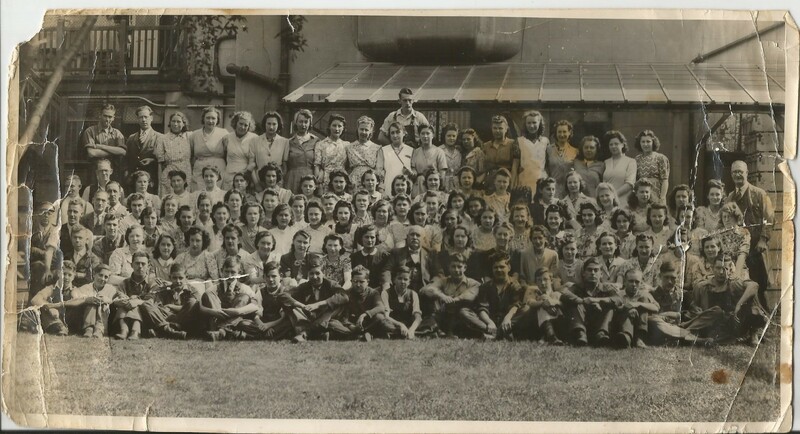 In my opinion the outdoors group shot was taken in the back garden of 35 Wellington Road (now demolished to make way for Johnson Bank flats). The concrete fake block rendering matches that of 37 and 39 (and 17 and 19) Wellington Road, and factories don’t have manicured lawns and net curtains. Arthur Cox of pill factory fame didn’t just have the big factory where the Lewes Road Sainsburys is – when he lived at no. 35 he had a factory at the bottom of his garden, accessed by the public and workers via St Martins Place, and adjacent to Franklin Road. We can safely assume there was probably a gate between the garden and the factory. As BLEECo had obtained no. 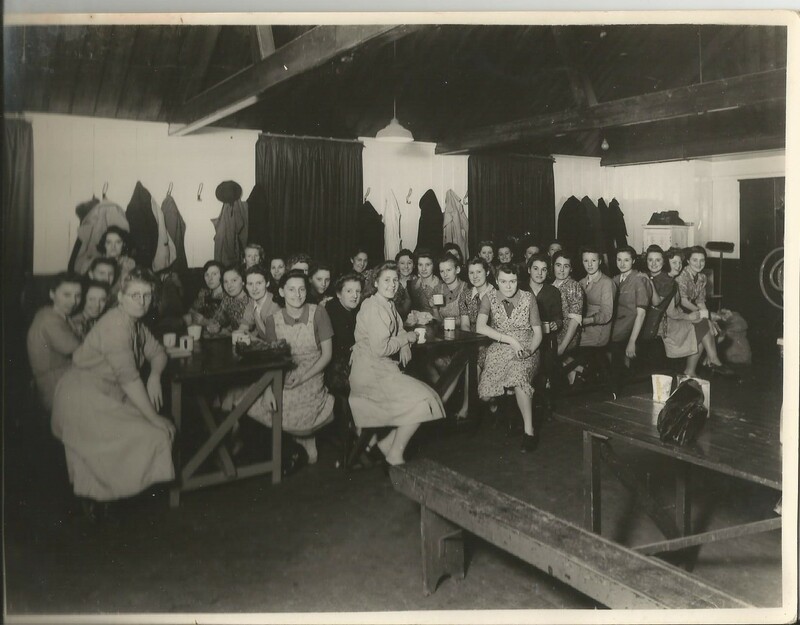 35 from the Horace Man Day Nursery as an HQ during the war, and there was no other lawned domestic open space of that size in the immediate area which could have belonged to the factory, I am pretty confident. There are some domestic garages on the site today if anyone needs a landmark. 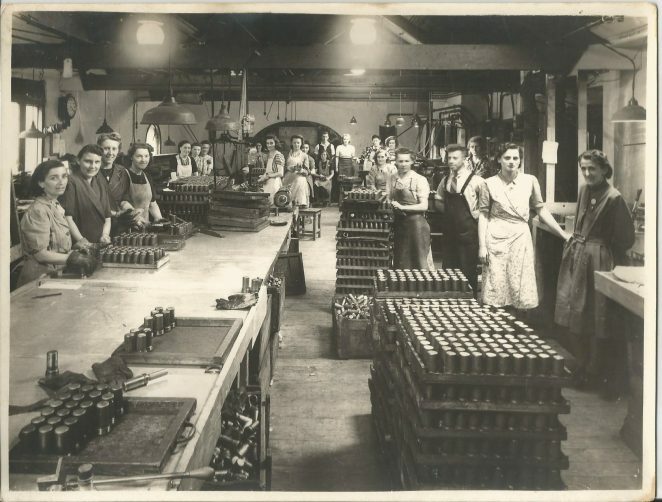 In answer to Janet Beal, to be more precise the factory was just east of 10 St Martin’s Place, and just west of the fore-shortened back gardens of 39 and 37 Wellington Road. If you look on the Brighton Museums digital archive for ‘Franklin Road’ you will see a photo of a big hole which was knocked through the dividing wall to gain access to demolish the remaining structures, with newly built Johnson Bank visible in the background to the south. Tiny new houses have been built facing Franklin Road on part of the factory site now, the first two on your left as you turn out of Wellington and down Franklin. Hello everyone! Thanks to some careless editing on my part in last September’s Brighton Viva article about our town’s lamp-post history, I made the mistake of identifying the Martial Arts Club as the old Bleeco Factory. Sorry about that. Anna Antoniou in her beautifully detailed history of Wellington Road has established that the factory was demolished in about 1970 and that the club in Saint Martin’s Place actually occupies part of a much older building originally in use as a stables and carriage hire business.